The basic human desire to break free from ones true self -- if only for a moment -- is a feeling Nate Kinsella (the sole songwriting force behind Birthmark) knows all too well. Choose any song on Antibodies, Birthmarks third full-length, and you'll quickly find lyrics that reveal Kinsella isn't always at ease with being the person that he is. That such a wide range of tones and emotions are represented so artfully is made even more remarkable when taking into consideration the relative speed with which the album came together. 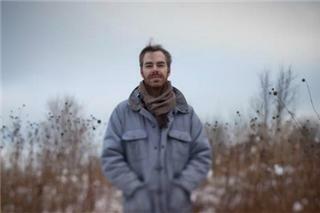 Having spent three years working on his previous album Shaking Hands, taking only four months to craft Antibodies required Kinsella to amend his past songwriting techniques. "This time around I worked very quickly and decided to embrace initial ideas without second guessing myself," Kinsella explains. "I really tried to imagine the songs first before I started to record them, instead of building a song from the recording process." To further streamline the process, Kinsella enlisted the help of producer Jason Cupp. Working with an outside engineer for the first time had the immense impact of enabling Kinsella to focus less on the technical aspects of recording and more on the music itself. As such, the experience of making Antibodies became a liberating experience for Kinsella -- allowing him to function outside his normal boundaries in exactly the way his lyrics indicate he yearns to.